Astrid studies human judgements and decisions related to climate change. This includes how individuals perceive climate change – in particular the factors shaping their understanding of (uncertain) scientific evidence. She also explores mechanisms of pro-environmental behaviours. Inspired by the ecological rationality-framework from the field of decision sciences, Astrid’s research goal is to improve the intuitive design of decision environments: By developing and testing very simple strategies individuals and police makers can apply in daily decisions, she aims at better informing individuals when facing complex and uncertain challenges like climate change. Astrid’s research has been funded by grants from the Centre for Decision Research, University of Leeds, the University of Klagenfurt, and the Max Planck Society. The German Academic Exchange Service and the Society for Risk Analysis-Europe have supported her with travel stipends to various conferences. Before joining the Centre for Decision Research in Leeds, Astrid was based at the Harding Center for Risk Literacy at the Max Planck Institute for Human Development in Berlin; the University of Konstanz, Germany, the University of Burgundy, France; and the University of Klagenfurt, Austria. There, she studied health and environmental risk perception and communication, as well as behaviours affecting climate. Astrid also explored from a game theory perspective how and when different incentives motivate fair sharing behaviour. 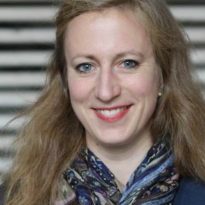 She have a master’s degree in psychology from the University of Klagenfurt, Austria, and a PhD (‘Dr.rer.nat.’) from the University of Konstanz, Germany.